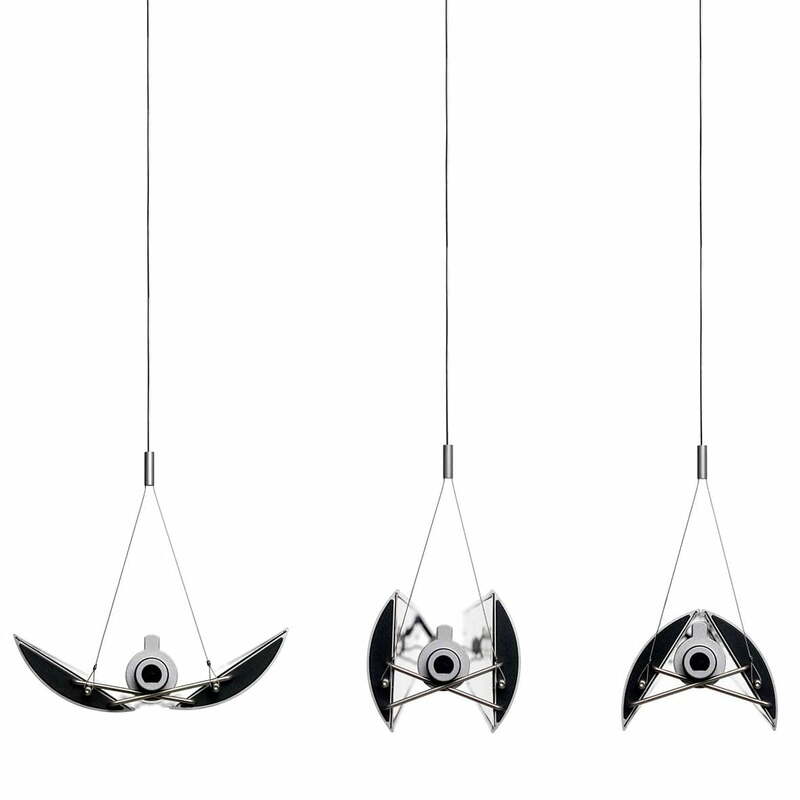 The Updown pendant light projects its lighting depending on how you like it. The plain shape of the Updown pendant light by Reto Schöpfer makes it possible to also use the illuminant lamp in the house. 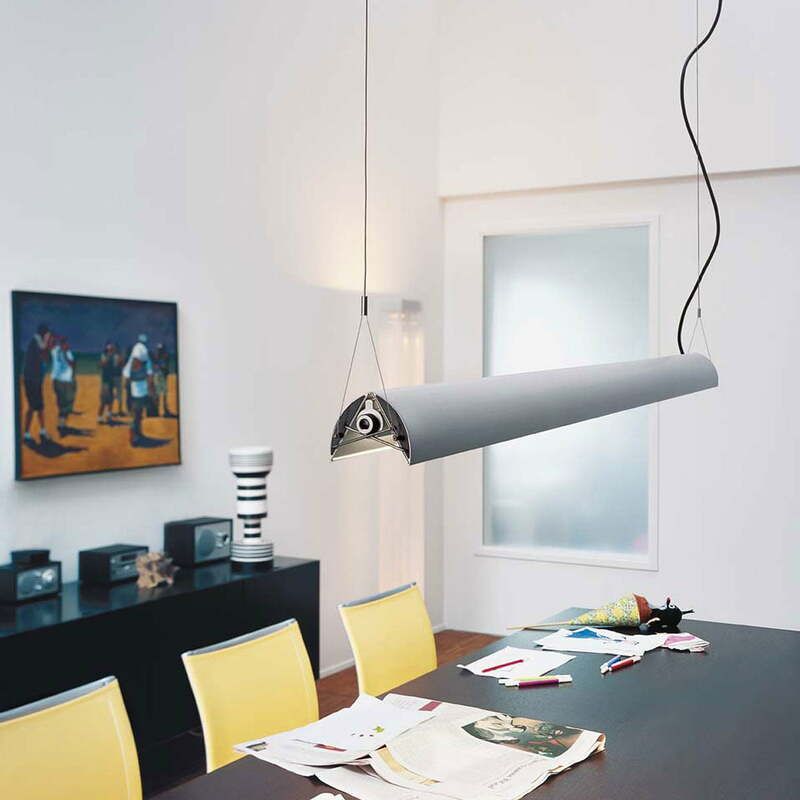 The light can be mounted s you wish, as the wings of the lamp can be adjusted with just one hand movement. 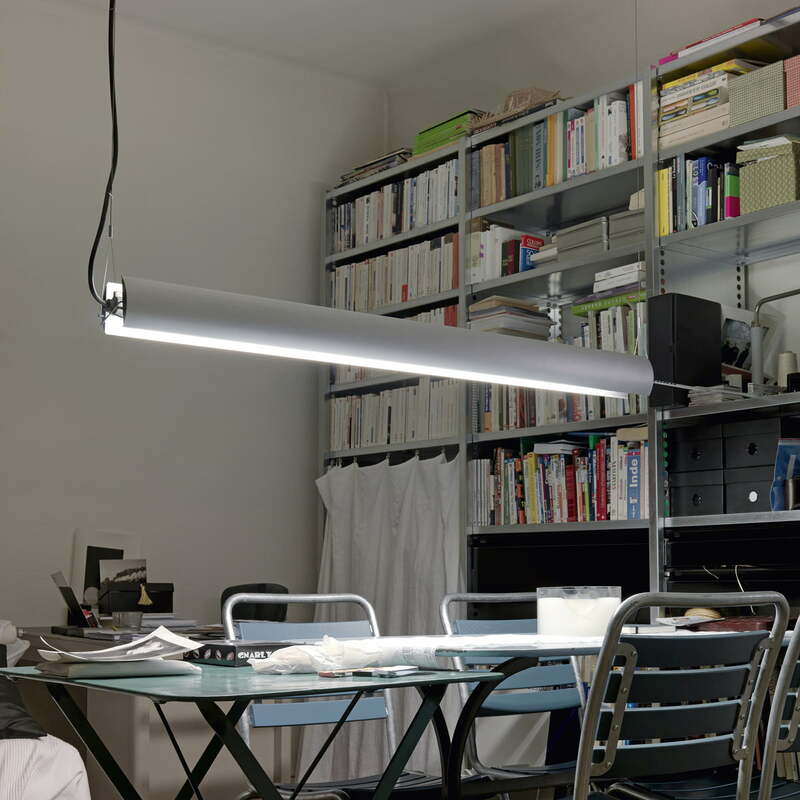 With a fluid crossover from indirect to direct, or from down to up or up to down, there are many options between working light and nice mood lighting. 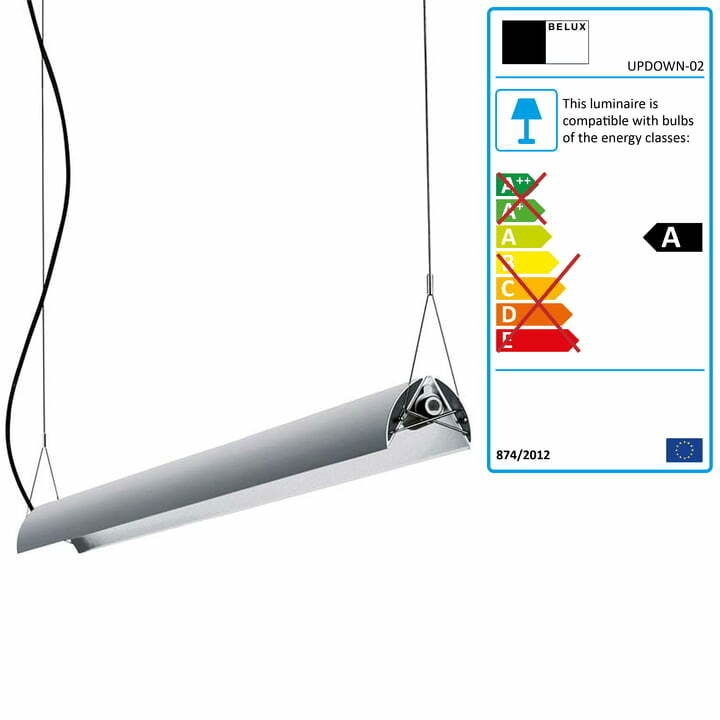 Depending on your requirements, the lamp can be set to diffuse room lighting or position-specific lighting. 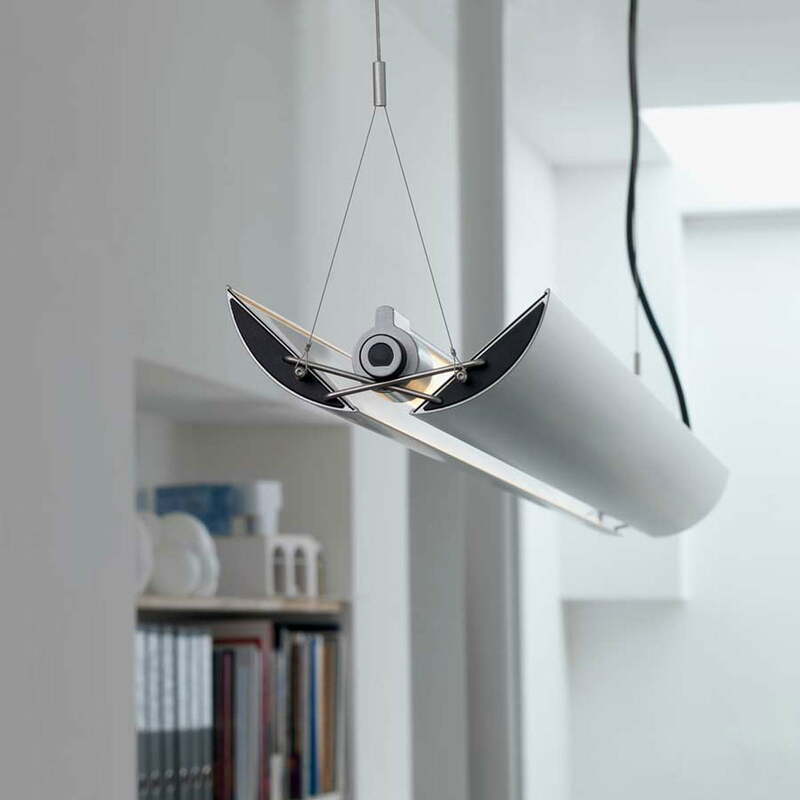 The Updown pendant light is also available with adjustable wings in a dimmable version and for 58W bulbs with a length of 156 cm. 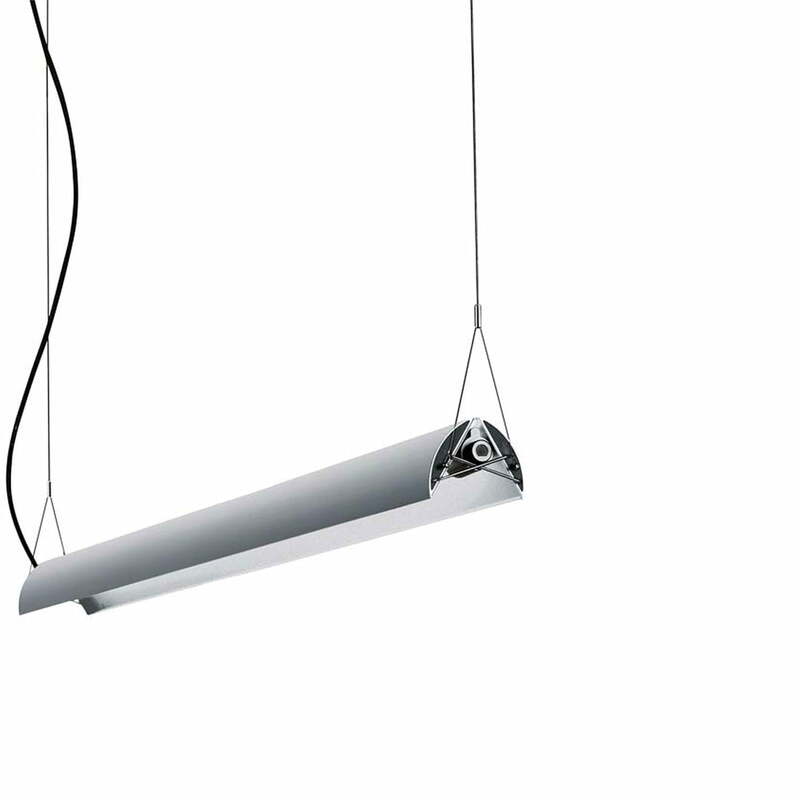 The pendant light can also be ordered without adjustable wings, dimmable or non-dimmable, 36 or 58 W, with a length of 1285 or 1585 cm. 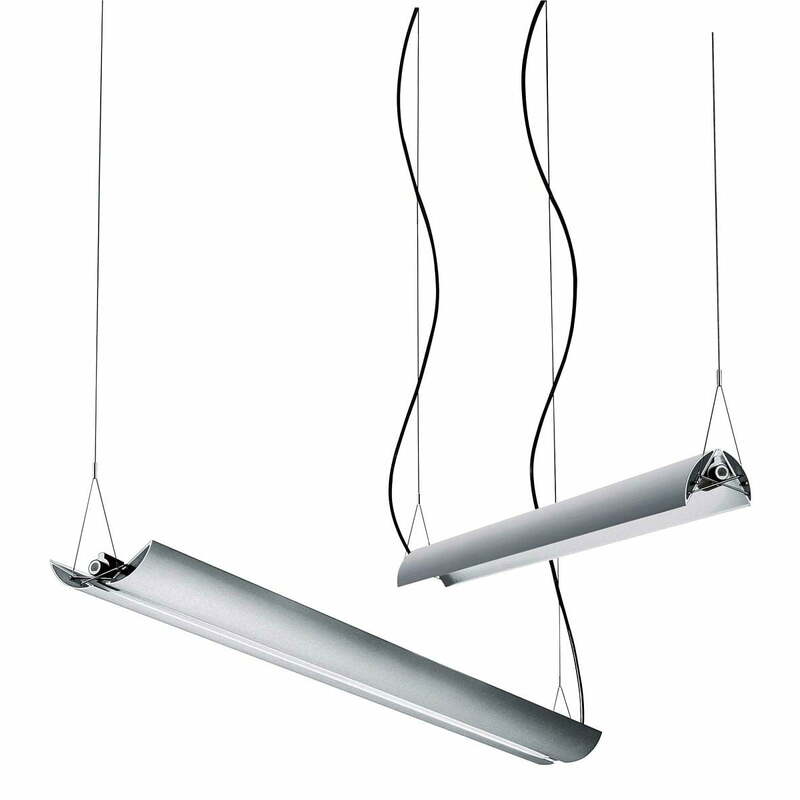 The Updown series is also available as wall or ceiling lamp, and can be ordered in three sizes, dimmable or non-dimmable. Further accessories for the Updown series, such as colour clips, different diffusers or reflectors, can also be ordered.